DUBAI (Reuters): Oil exporters have not fully recovered from the dramatic oil price shock of 2014, the head of the IMF said on Saturday, and she cautioned against spending money on “white elephant projects”. Lagarde also said across the region, it is common for sovereign wealth funds to directly finance projects, bypassing the normal budget process, while state-owned enterprises in some countries had high levels of borrowing, outside the budget.She said oil exporters could follow the example of other resource-rich countries such as Chile and Norway in using fiscal rules to protect priorities, such as social spending, from commodity price volatility. Fiscal deficits remained high, and public debt had risen rapidly - from 64% of GDP in 2008 to 85% a decade later, she said. 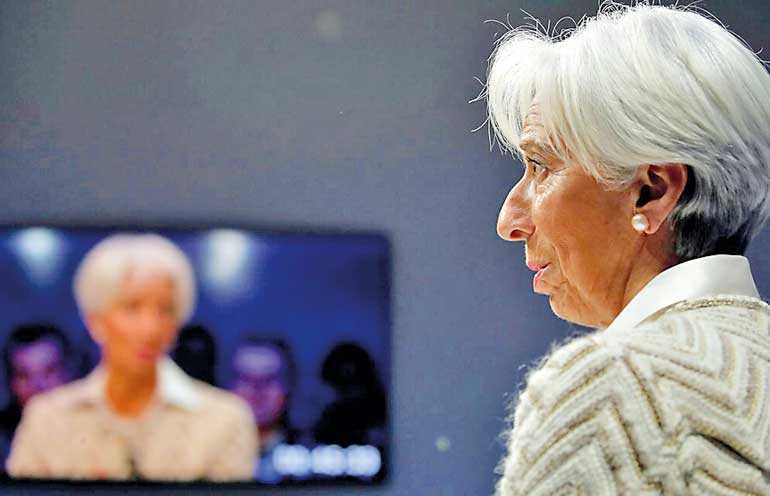 Public debt now exceeded 90% of GDP in nearly half of these countries.Speaking about the global economy, Lagarde said the IMF was not seeing a global recession on the horizon, but risks were rising for global growth due to trade tensions and tightening financial conditions. The IMF’s revised forecast sees the global economy growing by 3.5% this year, 0.2%age points below what it expected in October.“Unsurprisingly, a weaker global environment has knock-on effects on the region through a variety of channels - trade, remittances, capital flows, commodity prices, and financing conditions,” she said.